The Conference title of April 27, 2018 had been: "The Legacy of Tadeusz Kosciuszko During the Centennial Anniversary of the End of World War I, and Poland's and Lithuania's Restorations in 1918"
President and Founder Anthony J. Bajdek, a Retired Associate Dean and Senior Lecturer of History at Northeastern University, of Boston, Massachusetts, both welcomed all in attendance and provided an overview of the Conference, following which he introduced Executive Vice President Stephen N. Olejasz, an alumnus of West Point, former Assistant Professor of History there as well, and a retired United States Army Lieutenent Colonel. As the Conference progressed, Bajdek presented papers on two separate topics, the first was titled, "Tadeusz Kosciuszko, the Patron Saint of West Point During the Early American Republic," and the second was titled, "The Struggles for Poland's Right to Exist as a Free and Independent Nation, 1772-1921." 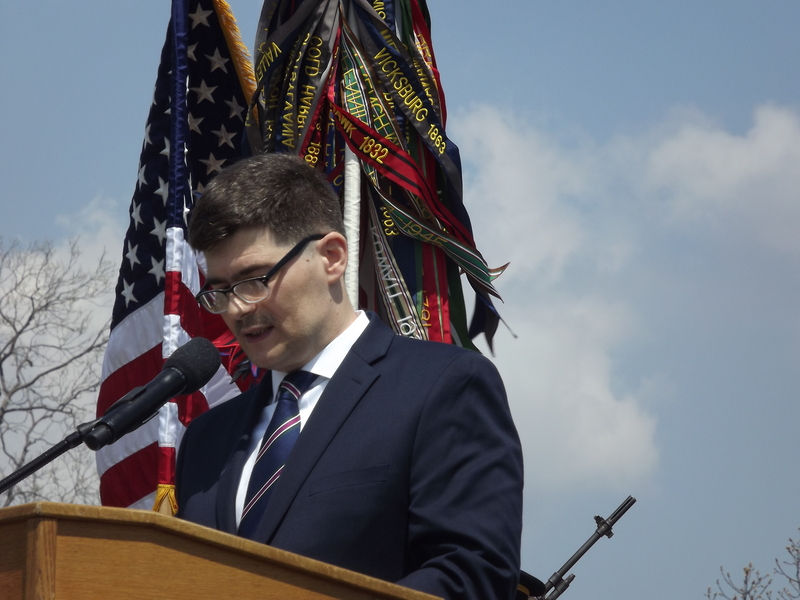 As a by-product of his first paper, the University of Illinois Press and the Polish American Historical Association will publish his related paper, "The Patron Saint of West Point: Tadeusz Kosciuszko and His Academy Disciples," in the Autumn 2019 issue of the Polish American Studies journal. In turn, Colonel Olejasz introduced West Point's 59th Superintendent, Lieutenant General Robert L. Caslen, Jr., who welcomed conferees to the United States Military Academy (popularly knoown as West Point) which had been created by an Act of the United States Congress in 1802. Given his many responsibilities as Superintendent, the fact that he scheduled time to be an opening speaker for the Conference not only reflected his sense of hospitality but also his recognition of the fact that our Association's annual Conferences introduce West Point to a highly-focused cadre of important speakers with expertise on Kosciuszko's times and legacy, and as well on contemporary 21st century issues concerning the security of Eastern Europe by way of NATO generally and of Poland and Lithuania in particular. Executive Vice President Stephen N. Olejasz had served in the Pentagon. 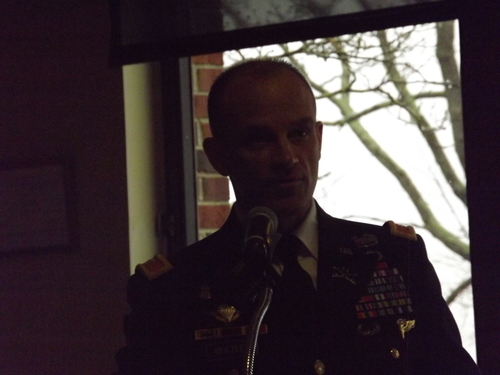 Prior to his retirement from the United States Army as Lieutenent Colonel, Stephen N. Olejasz had traveled regularly to Vilnius, Lithuania in his capacity as Chief of Coalition Affairs Policy of the Pentagon's Joint Staff, which ensured that he would be able to lend his personal perspective, following his retirement, on contempory United States - Lithuania relations for our annual Kosciuszko Conferences. 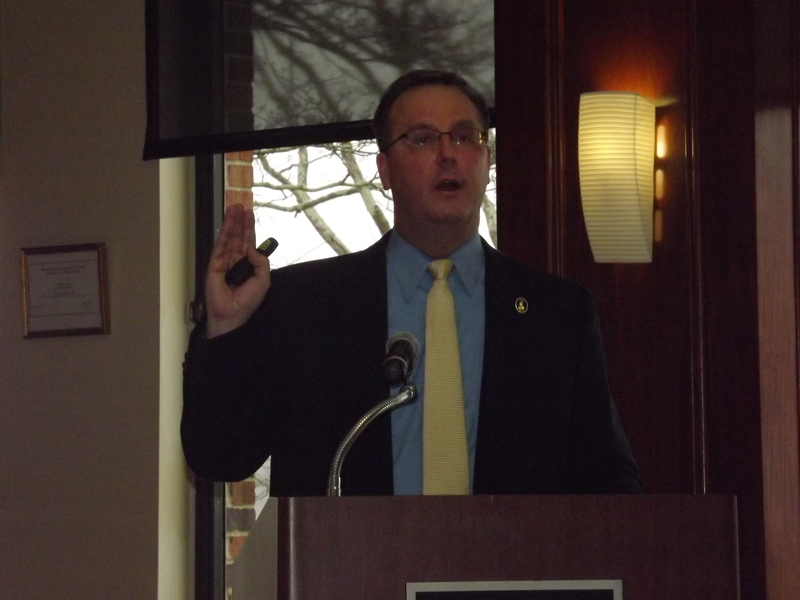 As the Conference progressed, Colonel Olejasz went on to present his own paper titled, "The Great War: The United States as an Emerging Power and Redrawing the Map of Europe." 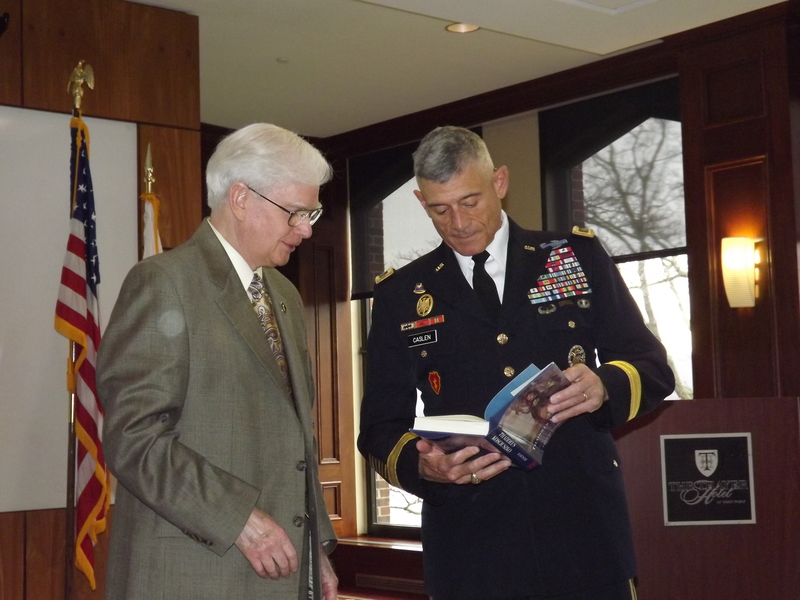 After delivering his opening remarks on behalf of West Point, General Caslen received a copy of the book titled, "Thaddeus Kosciuszko: Military Engineer of the American Revolution," written by Francis Casimir Kajencki, a 1943 graduate of West Point who had served in the Pacific Theater of Operations in World War II, followed by staff ansd command assignments until he retired as Colonel and Assistant Chief of Information for the Army in 1973. Maria Jurczewska, the Associate Director, Kosciuszko Chair of Polish Studies, of the Institute of World Politics, in Washington, DC, presented her paper titled: "The Effort of the Polish Emigration, 1914-1918." 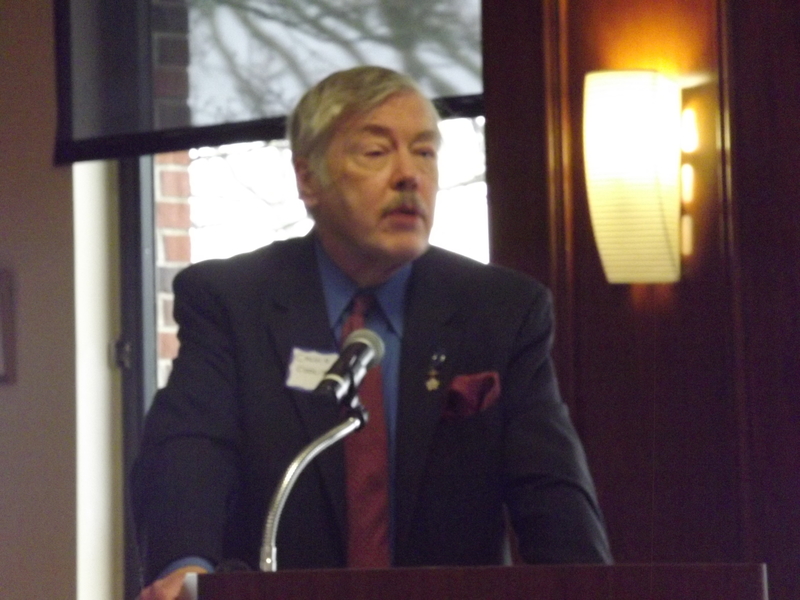 The title of his paper had been: "Who Understood the Geopolitics of 1918: Wilson or Pilsudski?" 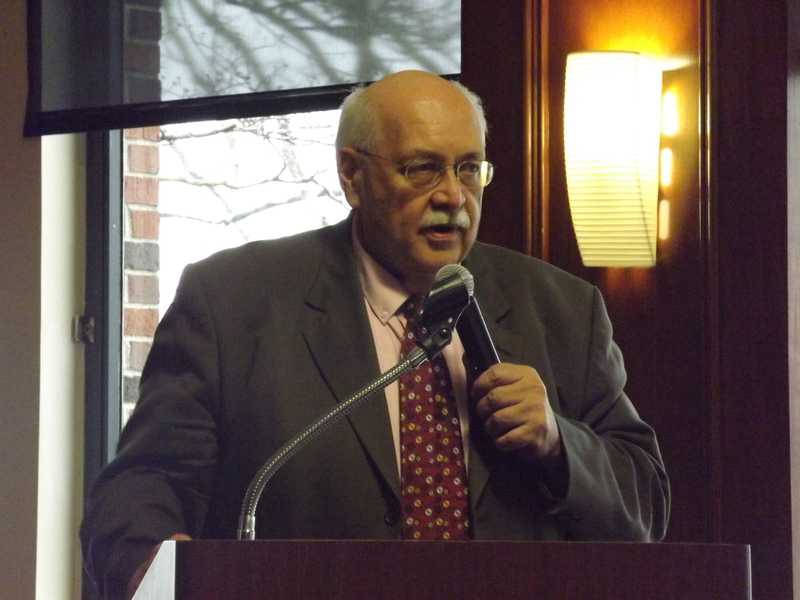 The title of his paper had been: "A Conservative View of Polish Independence: Michal Bobrzynski and the Re-Establishment of the Polish State." 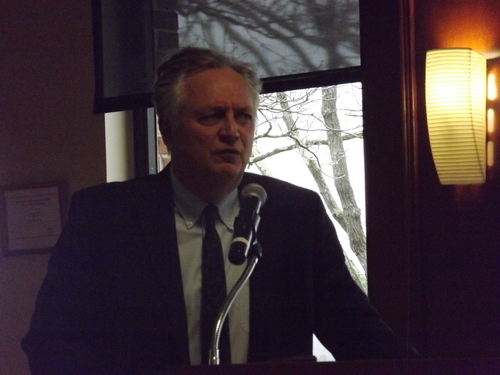 The title of Professor Pula's paper had been: "The Origins of Poland's Air Force, 1914-1921." The title of his paper had been: "Behind the Great Scene: Polish-American Diplomatic Contacts, 1914-1918"
The topic of Colonel Musteen's paper had been: "Comparative Memory of War." 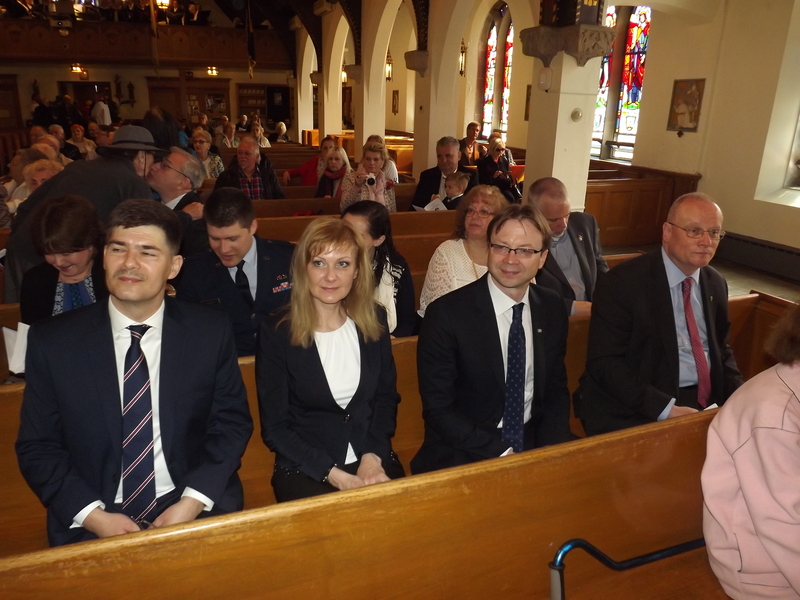 Dr. Vitas is shown here at the right end of the pew of the Most Holy Trinty Chapel at West Point where the next day's events began with the annual Kosciuszko Memorial Mass. 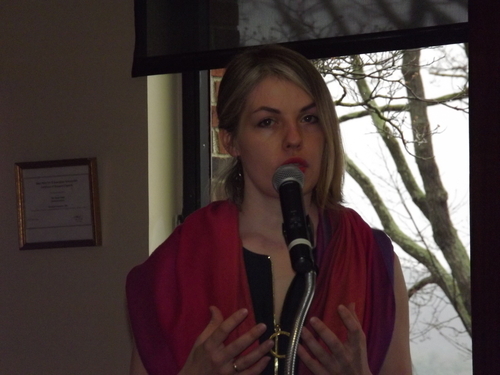 We apologize for not having taken a photograph of him while de delivered his paper at the Conference. 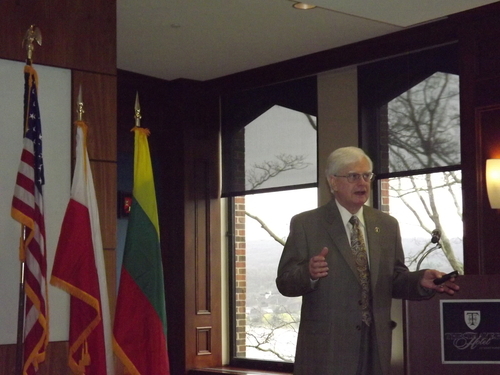 Its title had been: "A Twentieth Century Miracle: Lithuania's Transition from World War I to Independence." Of special note, seated next to him from left to right had been Pawel Kotowski, the Minister Counselor and Deputy Chief of Mission of the Embassy of Poland, in Washington, DC, his wife, and Rolandas Krisciunas, Lithuania's Ambassador to the United States. 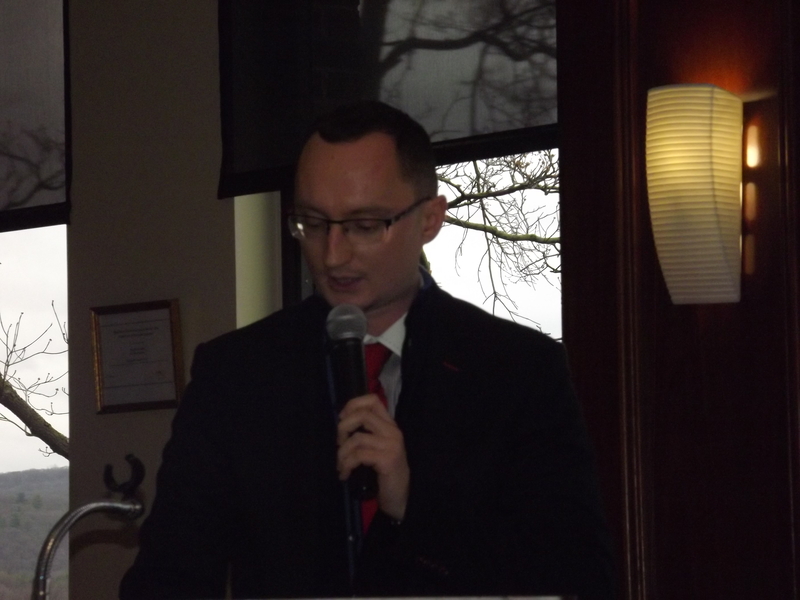 ... he spoke on behalf of the Ambassador, Piotr Wilczek, and Embassy of the Republic of Poland in Washinton, DC. Lithuania's Ambassador to the United States, Rolandas Krisciunas. 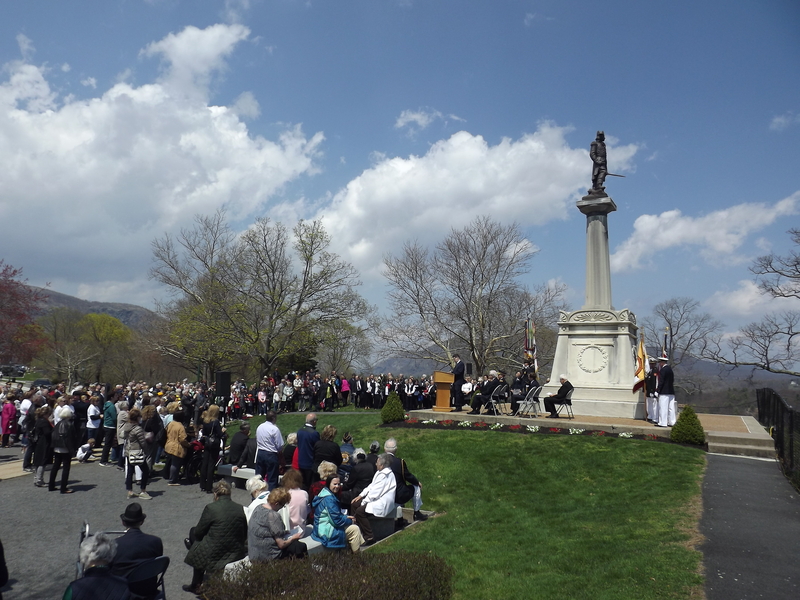 Annual National Ceremony at the Kosciuszko Monument in West Point. All Americans should never forget that our nation's first public observance that honored the memory of Tadeusz Kosciuszko occurred fittnigly on July 4, 1828, when the column and base designed by a former West Point cadet, John H. H. Latrobe, had been dedicated by the Corps of Cadets of the United States Military Academy in West Point, The Kosciuszko Monument at West Point became the world's secong oldest Monument raised to honor his memory, the oldest being the Kosciuszko Mound (Kopiec Kosciuszki) of Krakow, Poland. 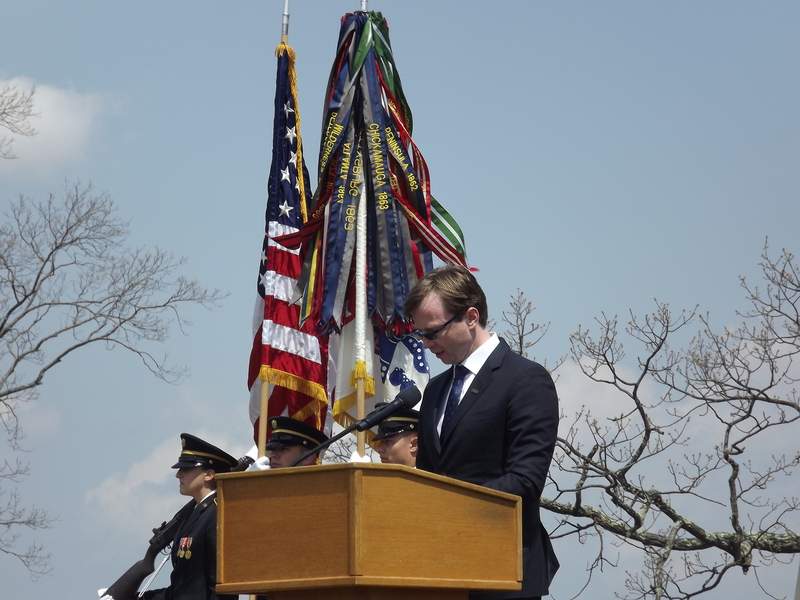 It had also been fitting that raising of the Kosciuszko Monument of West Point occurred during the Superintendency of Sylvanus Thayer, known as "The Father of the Unired States Military Academy," who had himself been an admirer of Kosciuszko. In September 1913, the Polish clergy and laity of the United States completed their mission to affix atop Latrobe's base and column of 1828, the eight and a half-foot high bronze statue of Kosciuszko. 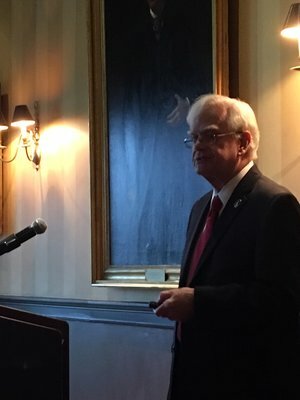 Earlier in the year, the President of the Lafayette Society of Massachusetts, Alan Hoffman, Esq., invited AAFKWP President Anthony J. Bajdek to address the annual Lafayette Day luncheon for its members and guests.